IP # 6: Recovery and Relapse An excerpt from the NA White Booklet, this pamphlet describes recovery in NA and identifies the warning signs of relapse. IP # 7: Am I An Addict? Twenty-nine questions and some key considerations to help a drug user decide if he or she is an addict. IP # 9: Living The Program A daily inventory worksheet based on the five point of "Just for Today" to help recovering addicts keep track of what they are doing to maintain and advance their recovery. IP #12: The Triangle of Self-Obsession "Resentment, anger, and fear make up the triangle of self-obsession. All of our defects of character are forms of these three reactions. Self-obsession is at the heart of our insanity." IP #13: By Young Addicts, For Young Addicts This pamphlet focuses on crises young people often face on the road to recovery: hitting bottom, making a decision to enter recovery, and dealing with peer pressure and family problems. IP #16: For The Newcomer An explanation of the basics of the NA program for addicts attending their first meeting. The pamphlet focuses on the effects of addiction, NA's Twelve Steps of recovery, what it feels like to be newly "clean," sponsorship, and confidentiality of membership. IP #17: For Those In Treatment "Treatment can help you start to live life drug-free," says this pamphlet. "The support of other recovering addicts and an ongoing recovery program can help you continue living without the use of drugs. In this pamphlet, we offer some suggestions to help you in your transition from treatment to continuing recovery in NA." IP #21: The Loner: Staying Clean In Isolation Many addicts around the world are geographically isolated from other recovering addicts and cannot attend regular NA meetings; other addicts are prevented from attending meetings by illness, work schedules, and other factors. This pamphlet describes how these members can participate in the NA program and find the support they need through the NA Loner Group, facilitated by NA World Service. 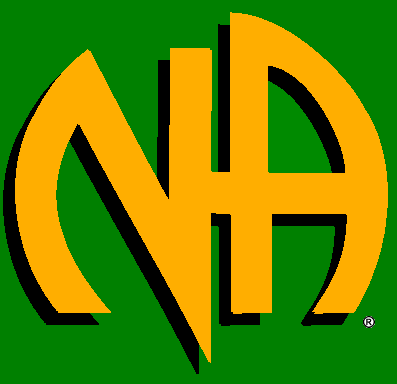 IP #22: Welcome To Narcotics Anonymous This piece reinforces the message of the pamphlet, For the Newcomer, assuring the addict who has just arrived in NA that he or she can learn "to live drug-free one day at a time."